Andreas Bastian is a 3D printing scientist at Autodesk. Excitement about 3D printing has steadily accelerated over the past decade — but this excitement has largely outpaced innovation and development in the field. As a researcher in 3D printing technologies, I’ve built 3D printers using all of the major technologies, as well as more experimental ones. What I’ve learned is that many of these technologies are composed of very well-understood materials, software problems and mechanical systems — things that engineers have been doing for decades. This, then, begs the question: Why isn’t 3D printing better? Why are failure rates so high and why is reproducibility so difficult? It’s clear that it’s not due to working with exotic materials or advanced motion control. What’s actually holding back innovation is how we think about those technologies: as separate pieces, rather than as elements of a system. Design: This largely means what we, the users of the technology, ask it to make for us. Hardware: The machines that actually do the work of the additive processes to make physical things. Materials: These include every type of resin, metal, ceramic, plastic or raw material that are turned into functional objects by 3D printing technology. Software: Converts design data into fabrication data, as well as the software onboard the machines and the software that routes data to the machines. The most problematic and often forgotten element within the ecosystem can be found in the broken pathways meant to connect each domain to the other. Old-fashioned ways of thought have prevented us from truly realizing the potential of 3D printing. By changing how we think about 3D printing to embrace the systems nature of the family of technologies, we can begin to actually leverage it against real problems. We’re Still Designing For Old Technologies. Almost everything that is printed today has been designed (either consciously or not) for another fabrication process. Just like designing for computer-numeric-controlled machining or injection molding, additive processes excel when they are leveraged on geometry designed for the specific process. There are many efforts to develop new design tools to allow us to design better for additive processes, but progress starts with recognizing additive manufacturing as just another fabrication process with strengths and weaknesses that must be considered during design. We’re Still Building Prototyping Machines. Current machines are generalists, rather than specialists. As prototyping machines, they are designed for the lowest common denominator of performance. This results in machines that can do many things, but that can do very few things well. We need to change the way we think about the very purpose of these machines and ask what problem do they solve. Instead of building a machine and then looking for a problem that fits inside it, we need to build machines around real problems that need solving. Hardware Is Actually About Software. In addition to focusing on real-world manufacturing applications, we need to architect the machines to leverage software. This means building “smart” machines that are heavily instrumented with sensors and that are web-connected to allow for monitoring and real-time analytics. One example is the Autodesk Ember, which has sensors that allow it to gracefully recover from unexpected errors, improve print reliability, report to its user when it has completed a job and allow other users to check its state remotely. Materials: Multimaterial Versus Mesostructure. Perhaps one of the greatest capabilities of 3D printing technology is its ability to cheaply implement complexity in materials. As designers, we’re used to certain properties being tied to types of matter, and we call this a “material.” For example, a wooden beam and a piece of paper have dramatically different properties and serve different purposes, but are both ultimately cellulose fibers (wood pulp). What actually sets them apart is how this cellulose is organized and structured. We call structure that is larger than microcrystalline (tens of microns and below) and smaller than human scale (centimeters to meters) mesostructure. Old-fashioned ways of thought have prevented us from truly realizing the potential of 3D printing. A common goal of 3D printing is to be able to print multiple materials from one machine to attain multiple properties for one object or design. However, mesostructure allows designs to get more value out of a single material. Instead of relying on different materials for different performance-specific properties, a designer can use multiple mesostructures to create an object with the necessary performance characteristics (soft, firm, elastic, breathable, etc.) using just one machine and one material. With the mesostructure principle, designers no longer need to compromise and can, in fact, design with far more flexibility and capability than before. This unlocks a huge untapped capability of 3D printers and opens new frontiers in design. 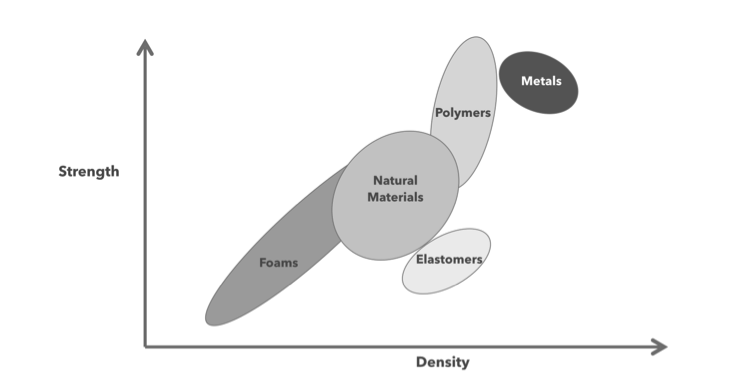 Multimaterial as a paradigm is bound to the set of known materials and properties. Mesostructure as a paradigm allows designers to work with familiar performance properties, as well as those that have never existed in nature. Openness: Accessibility is hugely important for enabling innovation. If the barrier to an application or new material is the development of a full machine, it won’t be overcome. 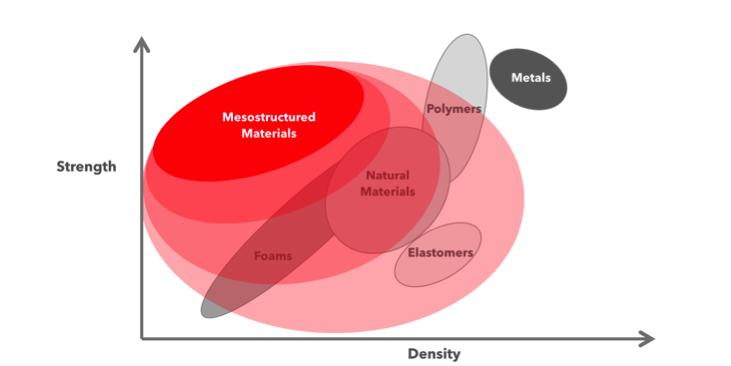 Modularity: This approach is essential both for engaging applications and for leveraging a broader suite of materials. Connectivity: Network connectivity will allow for data analytics and deeper integration with software to support for far more sophisticated control. Direction: As we’ve seen with the mythical consumer 3D printing market, the industry won’t advance if it pursues the wrong problems. We must apply this power technology where it makes the biggest impact. The core technologies are not holding back the industry, it’s the system in which they reside that is.